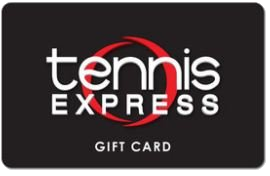 Limited Time Offer: Sign up for just $9.99 $4.99 per month and receive a $10 Tennis Express gift card! for convenient matches and practice sessions. PlayYourCourt is a trusted resource for all of your Los Angeles tennis needs. "I'm a last-minute kind of guy. When the spirit moves me, I can book lessons in a matter of seconds on PlayYourCourt and the instruction is the best I've ever had. What's not to like?" When you sign up we ask you some questions to learn more about your game and give you a provisional PlayYourCourt rating number. This rating will change regularly based on your match results and help us continue to pair you with evenly-skilled players even as your game improves. 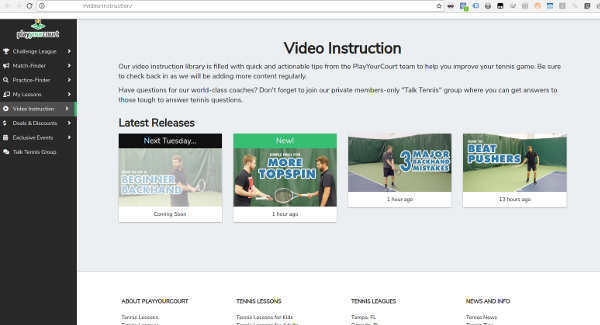 Every Tuesday we will send you custom video instruction based on your PlayYourCourt rating. We know you’re busy and we want to make sure you see progress, so these will be quick videos with actionable instruction that you can apply to your game immediately. If you watch your weekly coaching videos, you will have a blueprint for exactly what you need to practice. Now that you know what you need to work on, use our Practice-Finder tool to schedule a practice session with an evenly matched local player. If you’re the competitive type you can see how you size up against other PlayYourCourt members by challenging them to a match. The Challenge League is flexible — play as much or as little as you want and climb the PlayYourCourt rankings at your own pace. We want to make sure you not only meet new players but actually improve your game. Every Tuesday we send you short impactful video coaching for your specific skill level. These videos will give you a good sense of what you should focus on in practice to take your game to the next level. When you’re ready to put your skills to the test, it’s time for some matchplay. As a PlayYourCourt Member play as much as you want in our flexible Challenge League. There are no teams or commitments—play matches at locations and times that work for you. The number one reason people quit tennis is because they don’t have anyone to practice with. 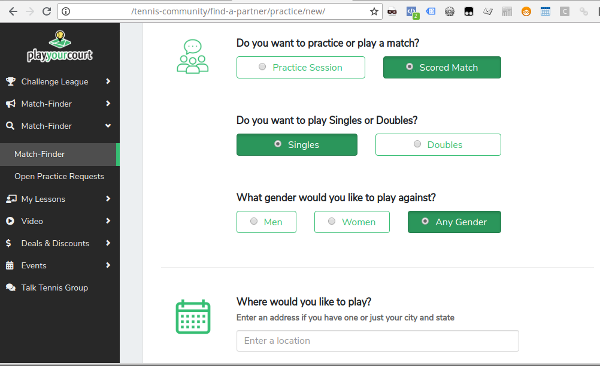 Our Practice-Finder makes it easy to connect with evenly-matched players and squeeze practice sessions into your busy schedule. We take care of our members and if you use your perks, your membership is better than free. As a PlayYourCourt member you have insider-access to deals and discounts on gear, apparel, video products, travel packages and more. We are the world’s biggest tennis lesson provider with thousands of coaches nationwide. If you need a little more help with your game, train with one of our local coaches on a court near you. As a member you receive preferred pricing on all lesson packages. When you become a member you have access to our private “talk tennis” Facebook group where you can interact with the best coaches in the world to get feedback on those tough to answer tennis questions. Ready to play more tennis? Watch weekly video instruction tailored to your specific skill level so you know what to work on when you hit the practice courts. Schedule practice sessions with evenly-matched players at days, times and locations that are convenient for you. Play Challenge League matches to guage your improvement and see how you size up against other fellow members. Click here and follow the prompts to see how many players are in your community. I just want to meet new players for practice, do I have to play matches? Nope! 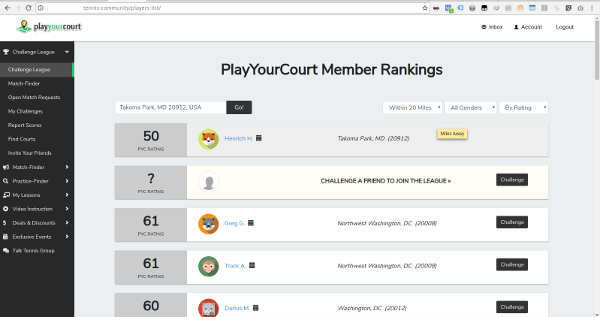 The PlayYourCourt membership is all about introducing you to new players. You can practice and/ or play matches in our Challenge League. What is the Challenge League? The Challenge League is a flexible rating-based league that comes free with your membership. Unlike traditional leagues you can play as much or as little as you want each month to climb the rankings and qualify for local tournaments. How do I know my practice partners will be evenly matched? 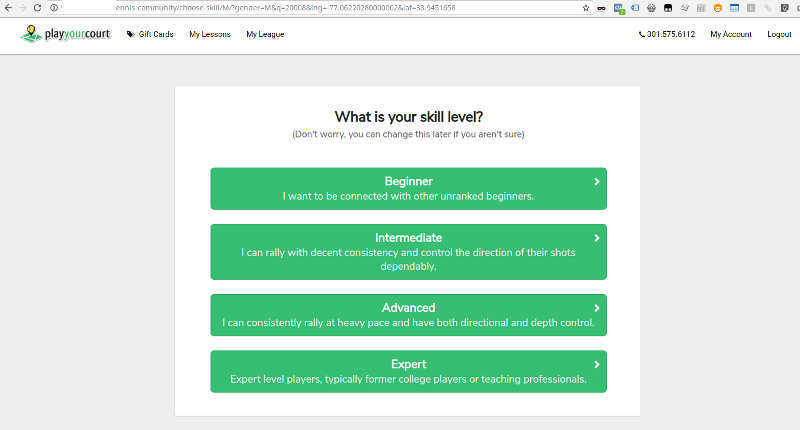 We ask preliminary questions to gauge your skill level and give you a provisional PlayYourCourt rating number. This number will adjust regularly based on match results. Don’t worry, players who self-rate incorrectly will settle into their true rating number after just a couple of matches. When and where are practice sessions and matches played? You and your practice partner will agree upon a convenient location and time for your match or practice session. Yes, we offer singles, doubles and mixed doubles. Can I play when I travel? Absolutely! This is one of the best parts of joining the PlayYourCourt community. We are nationwide so no matter where you go you can quickly connect with a local PlayYourCourt member for a match or practice session. We allow players age 14 and up to join, but if you are under 18 years old, your parent or legal guardian needs to sign up and communicate with other members on your behalf. Each player is required to bring a new can of tennis balls to every match or practice session. In practice sessions use both cans of balls, in matches use only one can and the winning player keeps the unopened can. For a full list of all that’s included click here. Our pricing is currently $4.99 a month or $49.99 a year. You can cancel at anytime. Yes, we have a 30 day risk-free guarantee. If you don’t love your membership for any reason you can cancel in the first 30 days and get a full refund. After the first 30 days you can still cancel your membership at anytime for any reason. Visit the “My Account” page located in the upper right hand corner of your membership dashboard to cancel in just a couple of clicks. You can cancel at anytime. The Challenge League is open in cities all over the Los Angeles area!